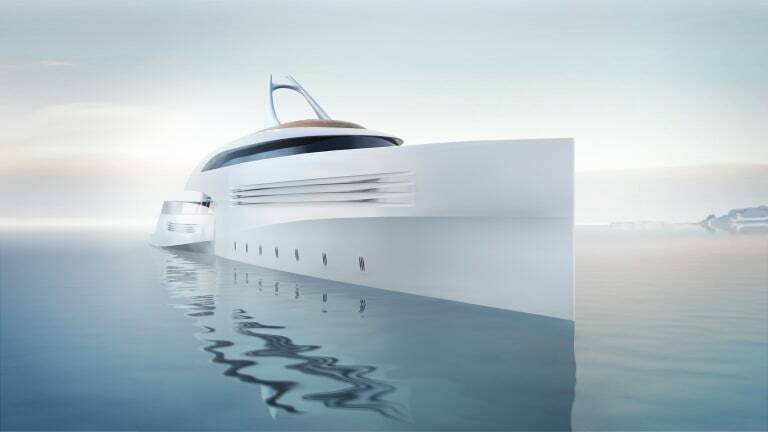 Twin 80-foot 'tenders' serve as a mothership propulsion system on this concept superyacht. 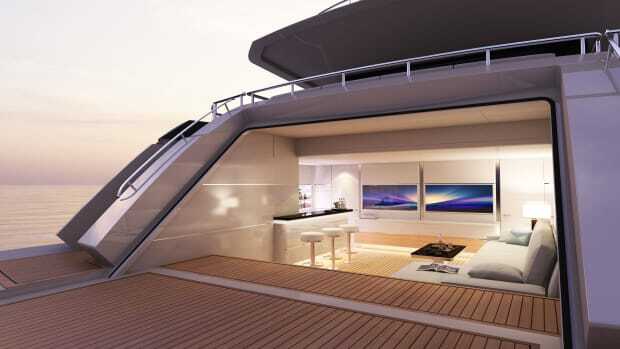 The 244-foot (74.5-meter) mothership has two symmetrically placed, 80-foot (24.5-meter) tenders docked into its port and starboard hull sides. 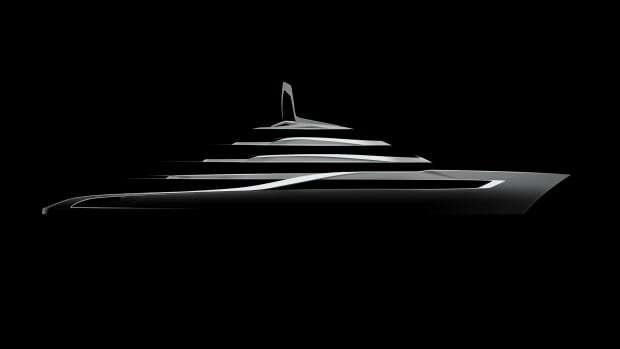 These smaller yachts are the primary propulsion source for the mothership, which also has an electric propulsion package. 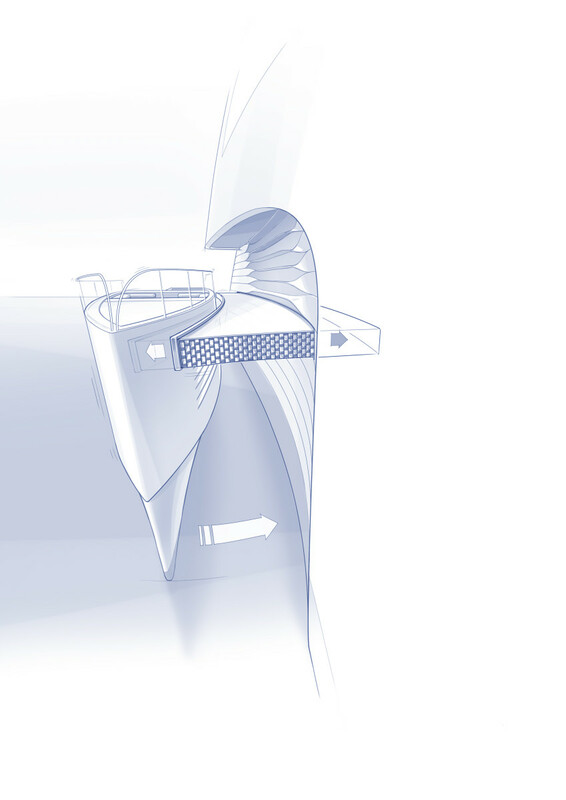 After a full charge, the yacht runs independently on batteries for as long as two days and can cruise—nearly silently—at 10 knots. 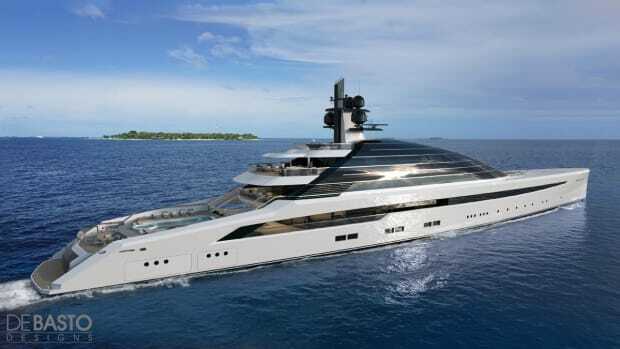 According to Feadship, this hybrid system provides nearly 30 percent savings on fuel compared with a traditionally powered, 262-foot (80-meter) build. 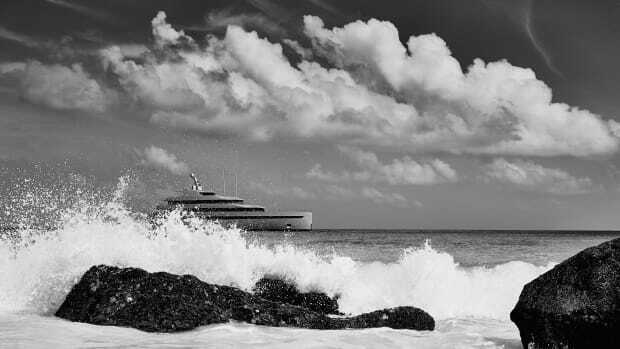 Twin 80-foot &apos;tenders&apos; serve as a mothership propulsion system. The twin tenders, Tender Won and Tender Too, can be deployed for exploration. Picture a command module orbiting in space while sending landing units to the moon. 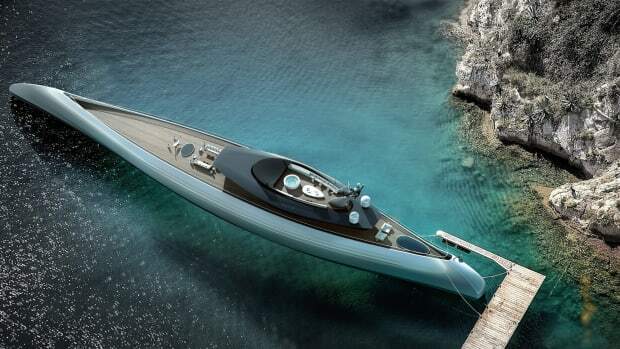 And these tenders are mini-superyachts, each able to reach speeds of 25 knots with accommodations including two guest staterooms, a crew cabin, a lounge and a spa pool. Let’s say you are at anchor and wish to discover new frontiers, but the mothership’s draft prohibits it. 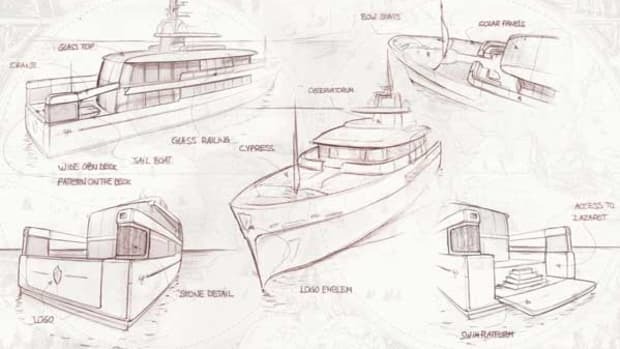 These tenders can whisk you away to dock and dine at a waterfront restaurant or propel you to a deserted island where you can overnight in comfort and style. 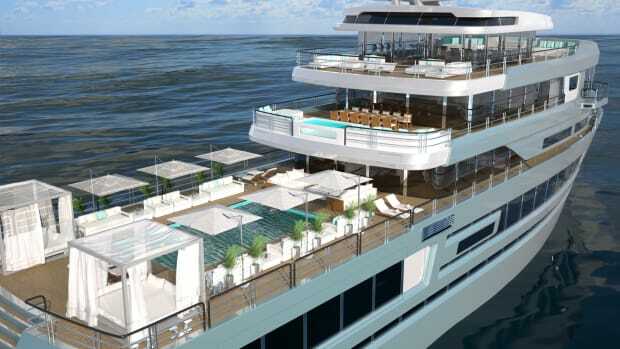 For guests who choose to remain on the mothership, there are plenty of diversions to entertain them, such as a two-person drone—easier to operate than a helicopter—and an amphibious beach-house-style apartment. 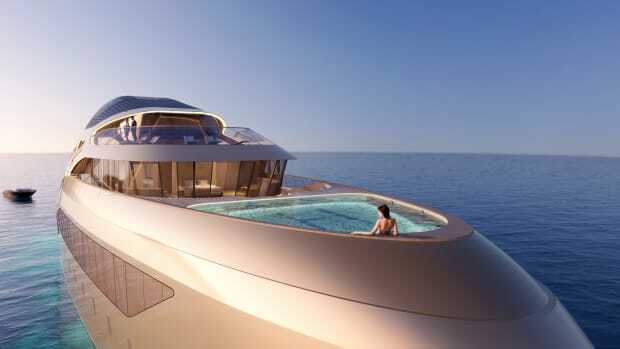 Oh yes, there is also a motion-compensated swimming pool, more spa pools and all the usual Feadship comforts. 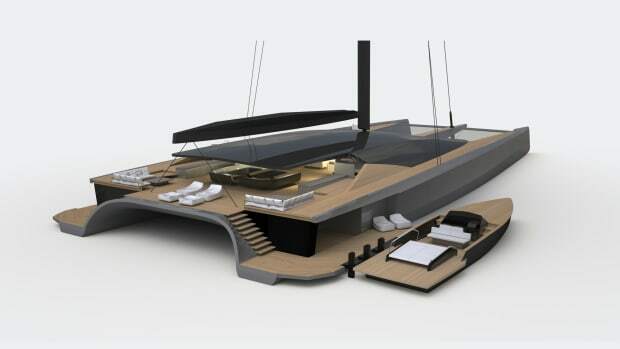 This bold design concept was born from Feadship client feedback, brainstorming sessions and feasibility studies. The bottom line is that owners want autonomy and flexibility. Choice would allow them both.